Improving the response capacity of the Romanian Army in the context of the Russian annexation of Crimea is a priority, says Romania’s President, Traian Basescu. 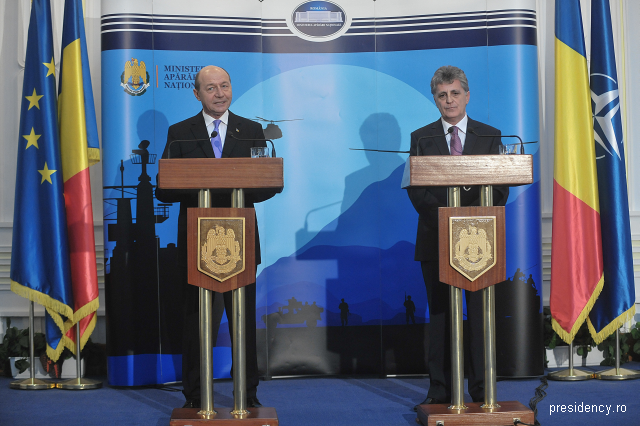 According to Traian Basescu, this requires additional resources earmarked through the next budget adjustment, as well as good planning for 2015. The statement comes in the context of difficulties in terms of funding military upgrades in the past few years. The budget of the Romanian Army, which has so far failed to reach 2% of the GDP, the level agreed on with NATO, is 1.4% of the GDP this year. Mircea Dusa mentioned that during the 10 years of NATO membership, Romania has built a modern and efficient army, with experience in theatres of operations. According to him, so far over 40 thousand Romanian troops have taken part in international missions.